If you are overwhelmed by debt, help is available. Whether you are going through a divorce, lost your job, have major credit card bills, or are struggling with medical expenses, you need to speak with a caring and knowledgeable bankruptcy attorney about your debt relief options. 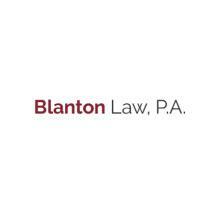 At Blanton Law, P.A., we will treat you with the personal attention you deserve and provide the knowledgeable legal guidance you need. Our attorneys focus family law and bankruptcy law and have years of experience serving clients in Venice, Bradenton, Sarasota and throughout Sarasota and Manatee Counties. Contact us online or call 941-584-4263 or 888-610-0968 to schedule a free initial consultation and discuss your debt relief options with our lawyers. You are likely eligible to file for either Chapter 7 or Chapter 13 bankruptcy protection. After thoroughly reviewing your financial records, we will help you determine which bankruptcy option best serves your needs. We will answer all of your bankruptcy questions and help you protect your interests during each step of the process. We want you to begin to feel confident about your future as we work to help you gain a fresh financial start. We understand that you are facing a difficult situation and don't want to take any actions that can negatively effect your future. Our lawyers will explain the bankruptcy process and help you make informed decisions without pressuring you in any way. We are here to help you through this difficult time.